When the news broke that Shake Shack was going to be coming to Los Angeles, it was like we finally dealt a death blow to the East in the bicoastal burger war. While we still get to hold In-N-Out over the heads of every person living to the right of Dallas, we now get to experience the equally heavily Instagrammed, New York-based phenomenon that is Shake Shack. Oh the beauty of rapidly expanding, publicly traded companies. And on January 25, we get an early look at their food thanks to Jon Shook and Vinny Dotolo. 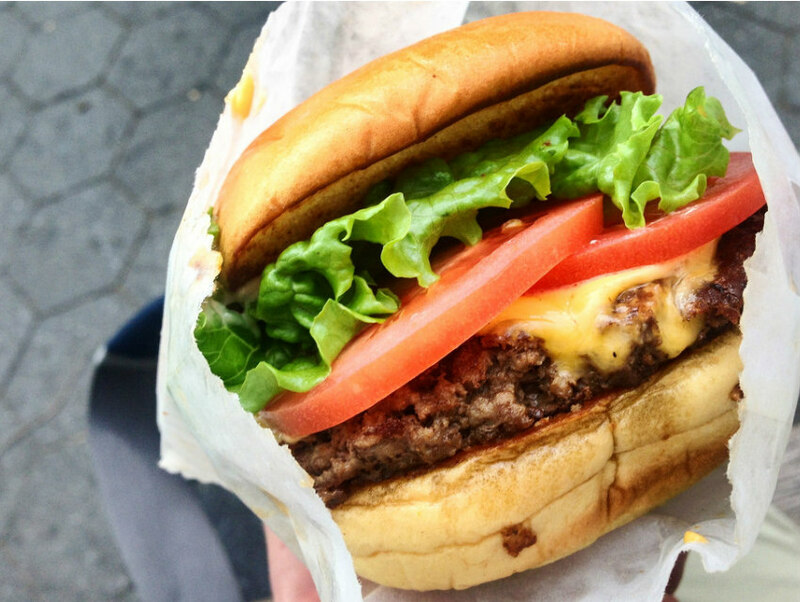 Who else would you rather have introduce Shake Shack to L.A.? Son of a Gun will be hosting a pop up on January 25 from 6-11 p.m. serving up the original Shack Burger ($6), which boasts green leaf lettuce (we’re still ride or die with In-N-Out’s iceberg though), tomatoes, American cheese, and ShackSauce on a Martin’s potato roll, alongside their signature crinkle cut fries ($4). Also available will be Son of a Gun’s tuna melt on rye ($8), the Shackwich ($4), a chocolate whoopie pie stuffed with peanut butter frozen custard and toffee, and a laundry list of cocktails, beer, and wine. Mark Rosati, Shake Shack’s culinary director, will be there overseeing the food. Shake Shack will be opening its first Los Angeles location in Spring 2016 in West Hollywood on Santa Monica Boulevard, with a second one on the way shortly thereafter in Glendale. And, as Eater L.A. reported earlier this morning, another location is slated to open Downtown in the Summer of 2017.